Every maker has a story. Be a part of Karmic Stone's story by placing an order, leaving a review, and seeing your review appear here. 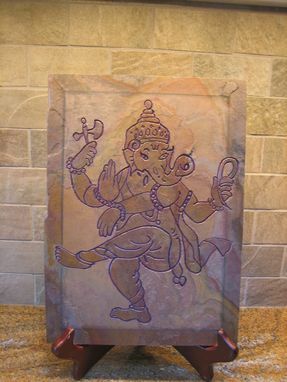 Created for a hindu temple, this hand carved stone art tile of the hindu diety, Ganesha, measures 12" x 18". 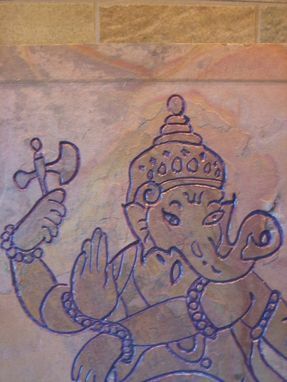 Installed within an alcove niche adjacent to the temple entry foyer, it may also be used in the home or office, hung on a wall or placed on an easel. Additional Ganesha designs available. Please indicate location and size needed. 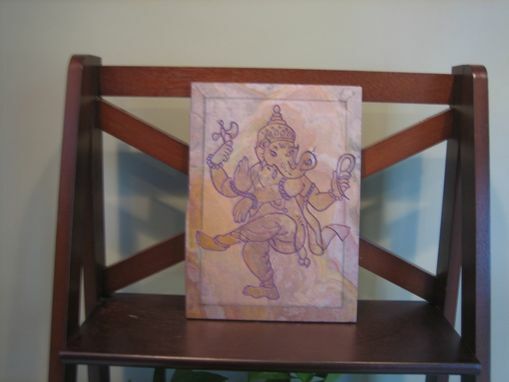 Symbolic and meaningful gift for any occasion , ganesha may be placed anywhere to remove obstacles. 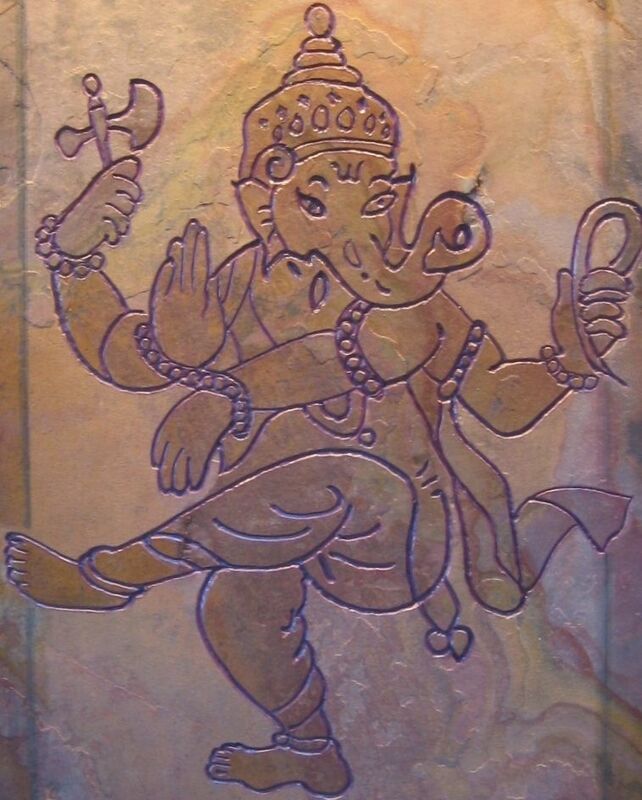 karmic stones are custom hand carved stone art tiles for your indoor and outdoor retreat including landscape installations& architectural installations.. Projects include but are not limited to: back splashes, wall accents, spa showers, fireplace mantles and accents & outdoor kitchens, landscape paver stones, pool surrounds, patio accents.